We sat down with Brooklyn-based sustainable designer and advisor, Tara St James of Study NY, to learn about her journey and where she thinks sustainable fashion is headed next. 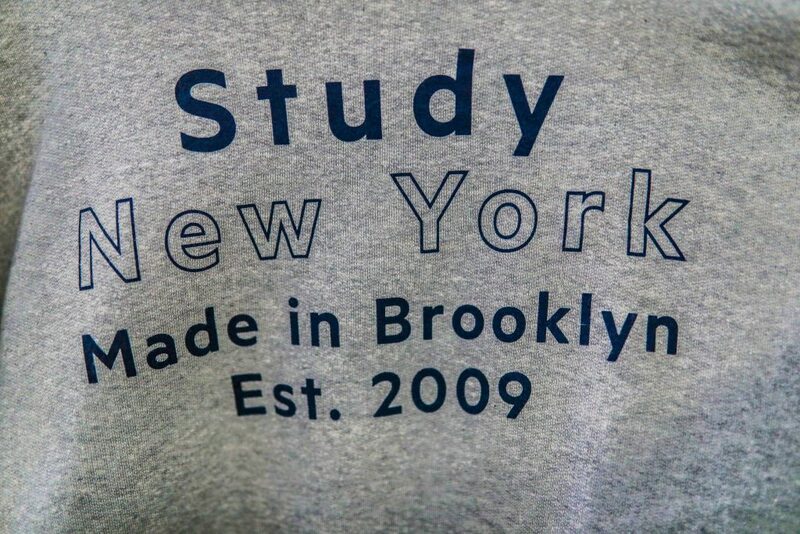 Study is a contemporary brand catering to a minimalist aesthetic. We are committed to transparency in our supply chain and use ethical fabrics and production methods across the board. What is your involvement with the BFDA? 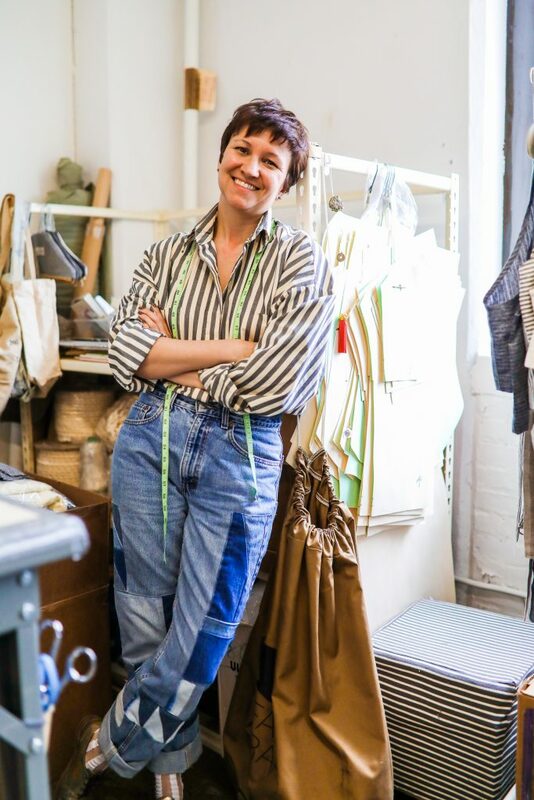 The BFDA, or Brooklyn Fashion + Design Accelerator, is a new mentorship initiative sponsored by Pratt for developing sustainable designers and their businesses. I’m a research fellow and the Production Coordinator, so I help our designers with textiles, fabric sourcing, production management, waste minimization, and more. What were you doing before Study? I’ve worked in the fashion industry for my entire professional career and prior to Study I was with a streetwear brand called Covet. I was responsible for design, development, production, and sourcing and with that, had the opportunity to travel to far east Asia and India which was a huge learning experience. The brand was my first introduction to sustainable textiles. During my gap year before college I moved to France to study art history and figure things out. I was debating between menswear and policy and ultimately ended up studying menswear. Ironically, policy and human rights factor into a lot of what I do now, so I think I’ve always harbored an interest in politics and it just took some time to seep back in. While I was at Covet, organic cotton was beginning to become more prevalent on the market. I still remember seeing a swatch of this organic cotton and feeling like it was a turning point. It was my first foray into sustainability, which I previously hadn’t heard of in the world of fashion. When I started learning about the environmental and human impact of cotton, I began looking at the rest of the supply chain I was developing for this brand and switched everything over to family-owned. This way, I was confident they supported worker’s rights and fair wages. I would visit them several times a year and developed close relationships with them as well. Where are some of Study’s fabrics from? I have a Japanese mill that I use for shirting. They use a lot of natural dyes. I don’t use any animal products except climate-beneficial wool from a farm in California, through a company called Fibershed. I use a lot of organic cotton which happens to be quite water-intensive. And I champion traditional craft, especially hand-weaving and hand-knitting, and incorporate these techniques into my design process. What do you think about the fashion cycle? The seasonal fashion cycle is killing the fashion industry, especially luxury brands. Rushing to get something out the door on such a strict timeline is a tragedy, can you imagine what would come out if these designers had more time? For a sustainable designer, it doesn’t feel intuitive to be stuck to this cycle if you’re someone who is also interested in development, sourcing, producing new materials, working with fabric mills, fixing your supply chain, because you can’t do that overnight. You’re constantly reinventing your work and scrapping your last season. Moving from spring to fall you start completely fresh, with new inspiration, materials, and patterns. It doesn’t allow your work any continuity or the opportunity to see the market properly. I stopped doing seasonal collections in 2013, instead focusing on my evergreen uniform collection, which I would supplement with smaller capsules. The fast fashion model is to make trendy clothes that are not made to last. They are not designed for longevity simply because they won’t even be valid after a couple months. If trends aren’t going away and you’re going to embrace them then design properly and responsibly, innovate with technology, use recyclable materials, and create a closed loop supply chain. Granted, there is more waste in the production process, with what’s coming off the cutting table, but we also don’t talk about the impact of product development. One opportunity for improvement is pattern making with 3D drafting technology. It takes designing off the table and puts it onto the computer, which doesn’t sound that innovative but is eliminating a ton of waste, in terms of paper, muslin fabric, time, and cost. In addition, Fabscrap is a new recycling initiative based in Queens, but it’s only been around for a year and a half. 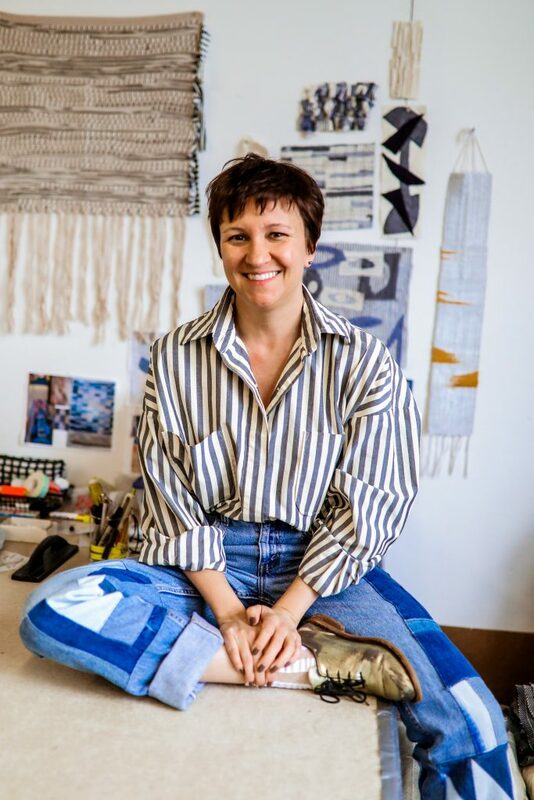 What were all these local design studios doing with their leftover fabric before then? It’s helped me find an audience that is curious, engaged, and wants to know more. I’ve connected with other designers entering into sustainable sourcing and production and found a community. There’s a friendship between sustainable designers because there is an understanding that it is harder, more labor intensive, more of a process so we help each other when we can. I think the label itself is detrimental because sustainable means different things to different people. There was green fashion and eco fashion, then sustainable fashion, then ethical, and now terms like circular. I can’t expect a consumer to understand “sustainable” because what it means to me isn’t what it means to you, or even another sustainable designer who is incorporating different methodologies. It lumps together a lot of people who may not have the same values, even though we may all be working towards a similar cause. How is the industry moving forward? I’ve seen things speed up exponentially in the past 5 years, which I attribute to social media and more publicly-available information. This has allowed consumers to understand the supply chain, where and how things are made, subsequently prompting brands to do better because they know there’s a spotlight on them. I think all the innovation is coming from the little guys because they’re more nimble, they pioneer new technologies, and their business models can adapt more quickly. Big corporations take forever to implement sustainable initiatives but they have way more impact. If they decide to change even one product line from virgin polyester to recycled polyester, for example, they would have a huge impact because they’re making tens of thousands of items. Rather than the tens or hundreds that a small player would be making. Find what’s important to you. Designers can approach sustainability in so many ways, from waste to water to production, but if you’re just starting out, decide what’s most important to you and start there. 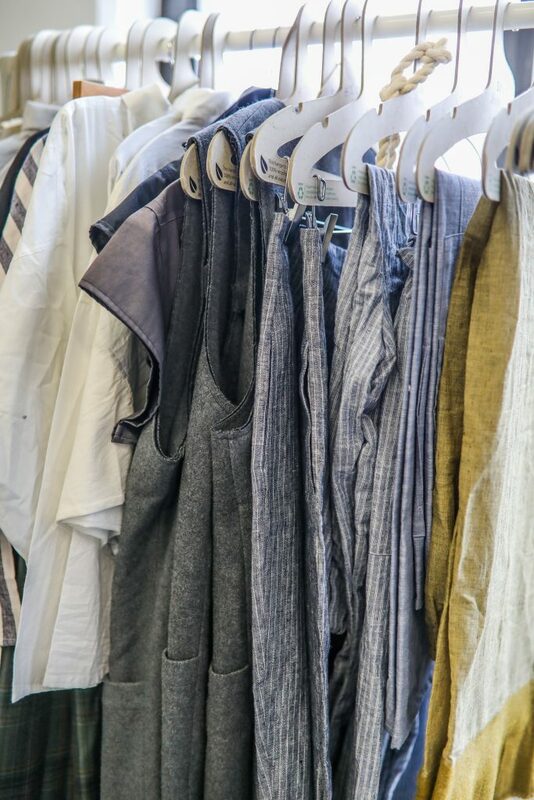 For example, I realized that natural dyes are water intensive, but so is organic cotton, so I substituted natural dyes for nontoxic synthetics. Understand your supply chain to understand your waste; understand your consumer to avoid costly mistakes. And now for some fun stuff. Who would you love to see in your clothing? Ruth Bader Ginsburg, associate justice of the Supreme Court. And Emma Watson, but that’s an obvious one! I don’t shop. I shop vintage if I’m looking for something specific or from my friends, other sustainable designers. I have a tattoo on my back which I don’t reveal very often! I love huevos rancheros for brunch and I go to pilates or boxing every morning. Boxing really wakes me up! I love stripes! The shirt I’m wearing today happens to be my very first project in design school, and of course it’s striped. Either Stella McCartney or Vivienne Westwood for sustainable designers. Historically I’ve always loved Hussein Chalayan and the Japanese: Comme des Garcons, Issey Miyake, Yohji Yamamoto, but I went to design school because of Jean Paul Gaultier. Keep in mind I was raised in the 80s and 90s and that was when he reigned supreme. I love him as a personality, I love his approach to design and that he doesn’t take himself too seriously, he’s funny. And he likes stripes.